I love presents. Giving them, getting them, watching other people get them, pretty much anything to do with presents is my favorite thing ever. My grandma sent me a present out of the blue the other day and it is SUPER cute! 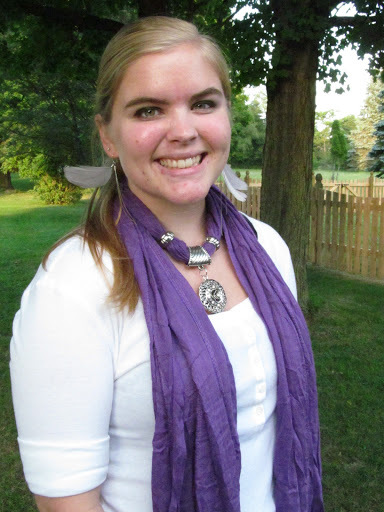 It’s a purple scarf with a medallion on it so it’s a necklace and a scarf all in one! It’s pretty awesome. 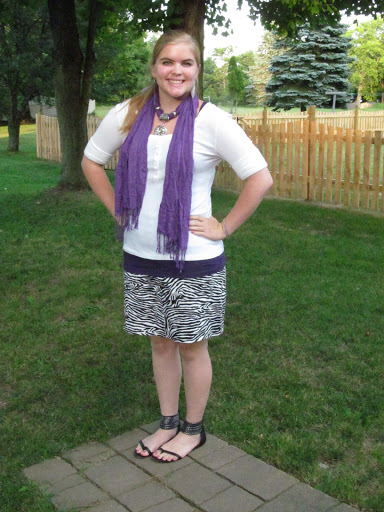 I paired it with my zebra print skirt, a purple tank with a white top over it, and my black sandals. Merry Christmas Everyone!! I hope you have all had a very happy day! 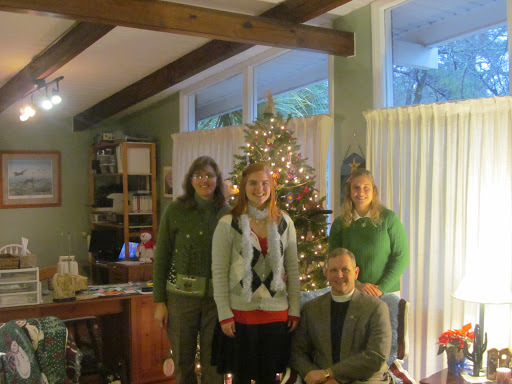 Below you will find pictures of my Christmas Festivities! 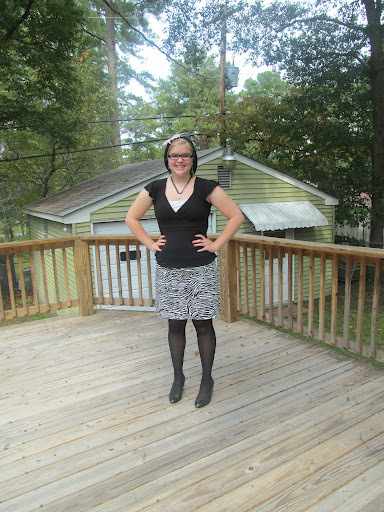 This is what I wore to the Christmas service. 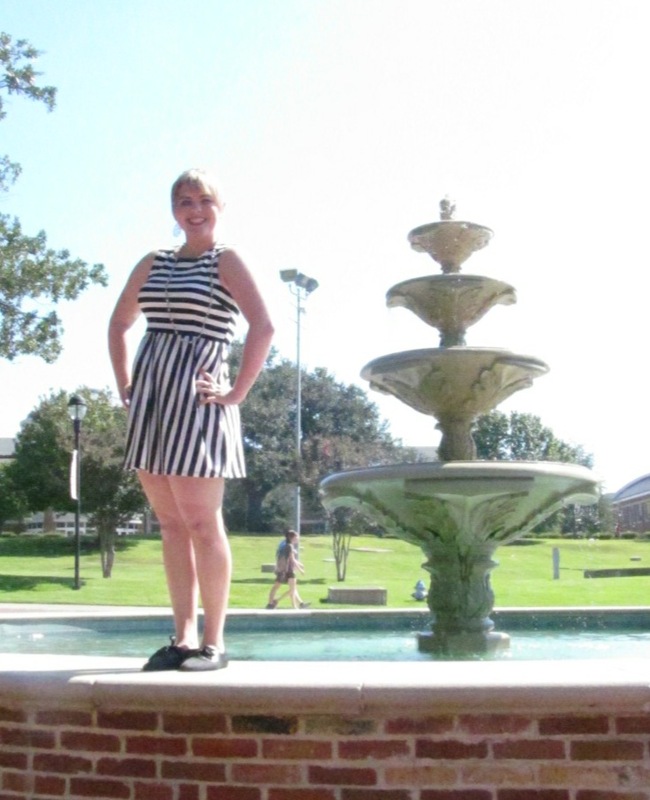 It was the third outfit I tried on this morning! 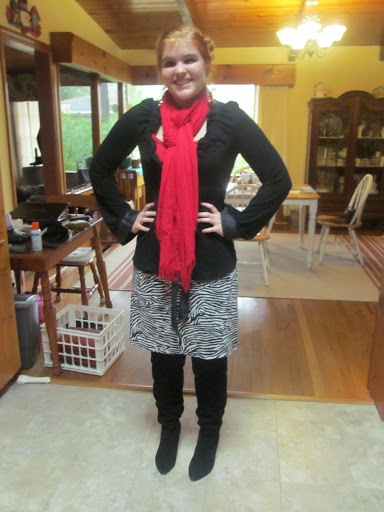 I’m wearing my zebra print skirt, black boots, red tights (which you could see when I walked), and my red scarf. 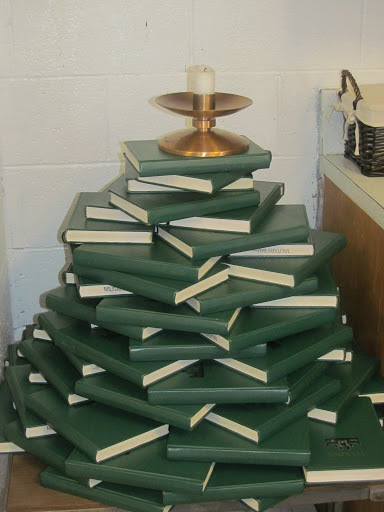 And finally, the Christmas tree we made out of mormon hymnals at the Chapel on post! We used them because they were green! 🙂 I love Pinterest Ideas! Merry Christmas guys! 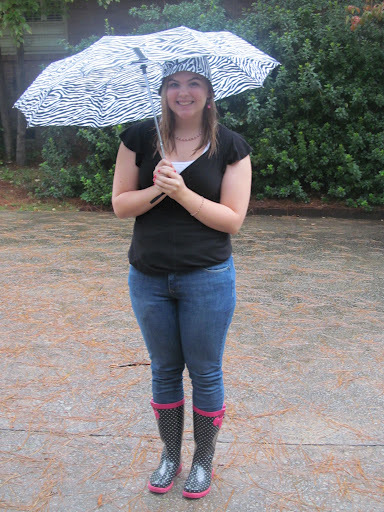 I tucked the dress into some skinny jeans, pulled my rain boots on added some jewelry (pink necklace, pink bracelet, pink earrings), and donned my rain hat courtesy of Amy. The umbrella (kind of courtesy of Amy, the first one was, but then the mean airport people from the Dominican Republic took it and my mom bought me a new one) completes the look! I love the rain! 🙂 See Melanie? An umbrella is definitely a valid accessory! 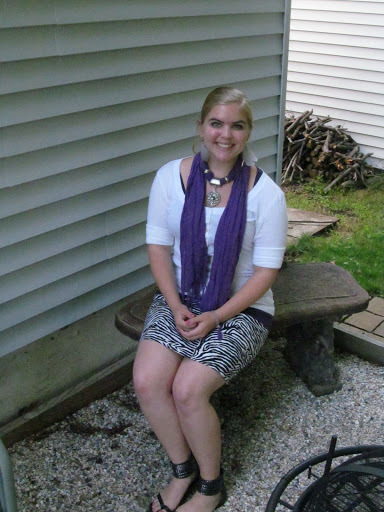 Photo credit goes to my lovely sister who surprised my by coming home today! 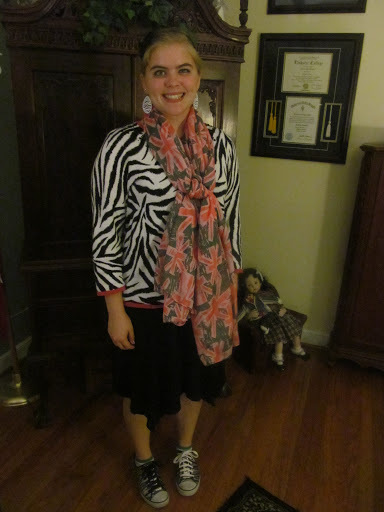 As many of you know, I LOVE Zebra Print! 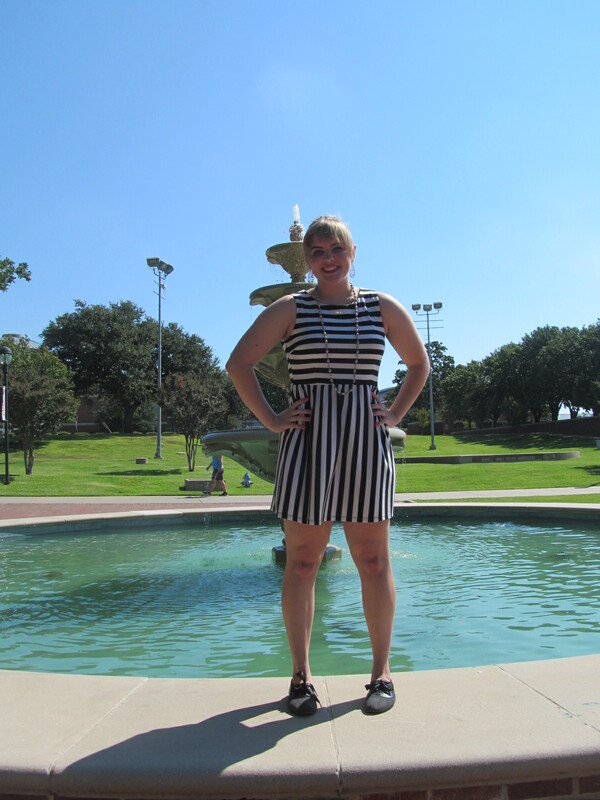 So I wore my Zebra skirt with the dress tucked in so it looks like a shirt. 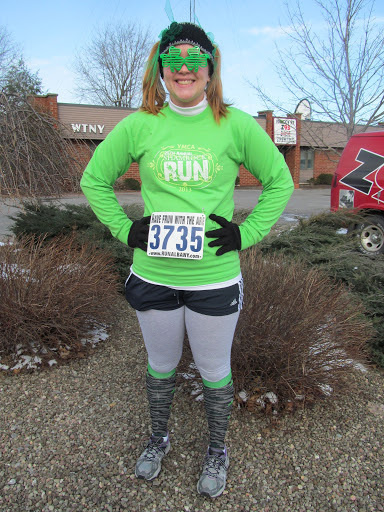 I also wore polka dotted tights, a cross necklace, a black beanie with a pink flower pinned on, and my glasses. (No, they’re not real. They’re just for fashion!) 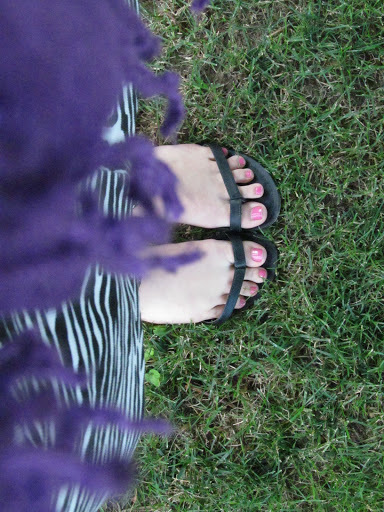 Oh, and also my classic black heels! Thoughts?